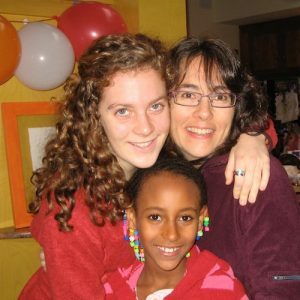 Today, September 24th, is the birthday of our “unofficial” founder, Talia Goldenberg. She should be here celebrating her 27th birthday. 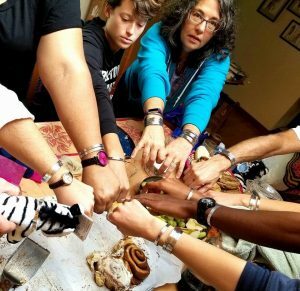 Instead, we spent the day celebrating the amazing person she was. 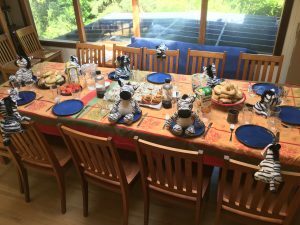 Talia’s family gathered around a table of stuffed animal zebras–a gift from her aunt and which are the mascot for those who suffer from EDS (the disease Talia had). Talia’s Papa baked cinnamon buns which she would have loved. We ate them for her. 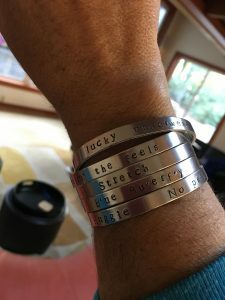 Each family member chose words or phrases they associated with Talia, and today we gave out gifts of silver bracelets with these chosen words stamped on them. 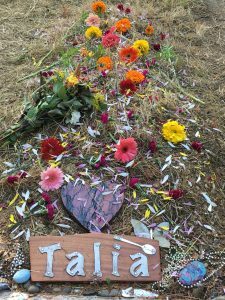 We looked at a beautifully decorated canvas her college friends created at a memorial to her that took place during her 5th college reunion, which she had to miss for obvious reasons–but they remembered Talia nonetheless. We visited her grave, covering it with flowers and petals, making it colorful like her. We cried, we laughed, we sang. We miss Talia.